I am delighted to share a new Hallmark Television show with you, Signed, Sealed, Delivered. I just watched an episode and I enjoyed it. It has the standard Hallmark reactions, smiles, giggles, struggle, triumph – all packed into one episode. I enjoyed the post office lost letter theme of this episode. I will assume by the title of the show, that we will meet many people through lost mail. My family enjoys watching series on television. Generally, it is difficult to watch a pilot or even the first three shows and form a solid opinion. With this one show, I got to know the staff at the post office. Their working and personal relationships with each other were established. I liked all of the characters. The sets are simple yet beautiful. I am not sure what time period it is, other than a clue about when the person wrote the letter, but I’ll assume it is written for present day. The interactions are a bit cheeky. Hallmarky. Many of the exchanges are expected, the story line runs as expected – with one mystery revealed in the middle of the program. The characters are adults, talking about adult topics – not as in worldly, just probably not very interesting to young children. We do not have cable, but I’ll be looking for this series to post episodes online. I am always looking for entertaining simple shows to watch. Their inclusion of scriptures in the music score and over all theme of morality is a breath of fresh air. I hope you all get a chance to check it out on Hallmark Channel on Sundays at 8/7c. 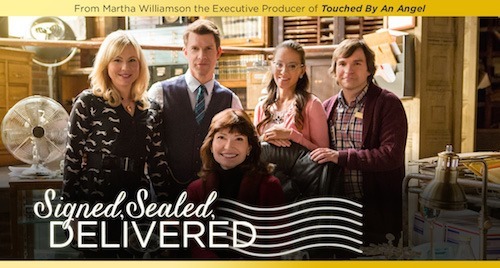 The new original series “Signed, Sealed, Delivered” is a wonderful combination of romance, comedy and drama that follows the lives of four postal detectives who transform themselves into a team of detectives to track down intended recipients of undeliverable mail. Their missions take them out of the office where redirected letters and packages can save lives, solve crimes, reunite old loves and change futures by arriving late but somehow always on time. The team includes charming Oliver O’Toole (Eric Mabius), the group’s leader is a man of faith who prayerfully approaches his work with the goal of making a difference in people’s lives; new team member, Shane McInerney (Kristin Booth), a technophile who brings 21st century sensibility to the group; free-spirited, “girl next door” Rita Haywith (Crystal Lowe) who has a photographic memory; and lovable Norman Dorman (Geoff Gustafson), a master in conventional research methods. 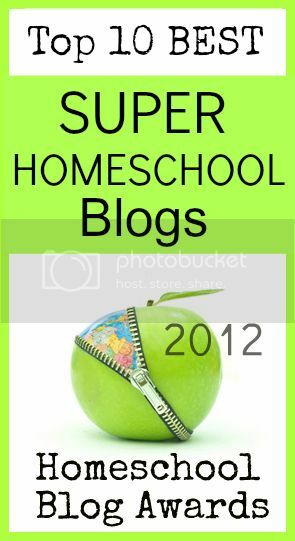 Disclaimer: I received a viewing link from FlyBy Promotions Blogger Network for one episode to base my review on. No compensation was given for this review. 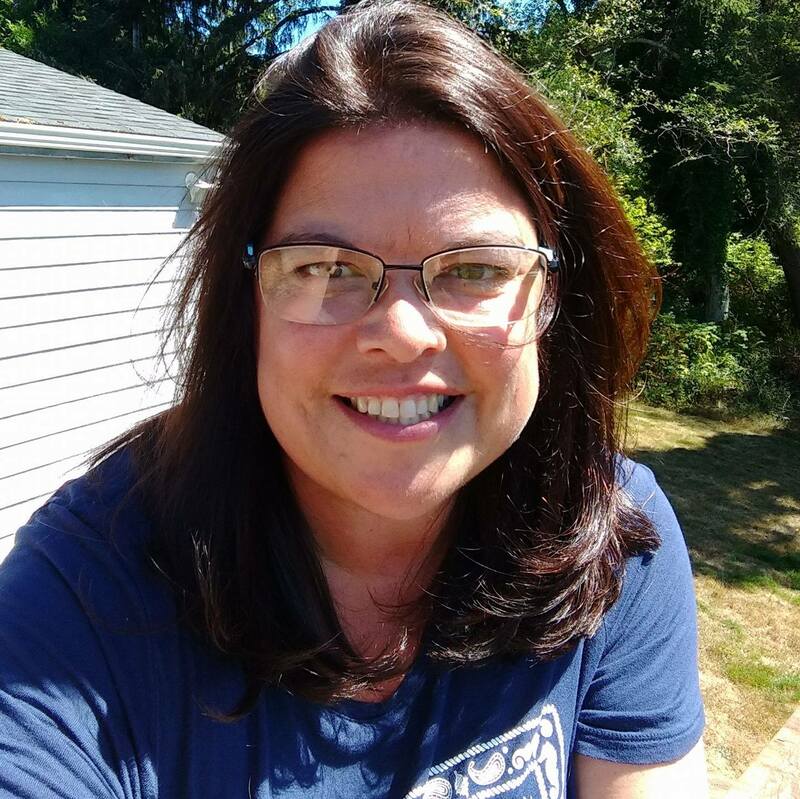 This entry was posted in Movies, Reviews and tagged delivered, hallmark, hsreviews, Review, sealed, signed. Bookmark the permalink.